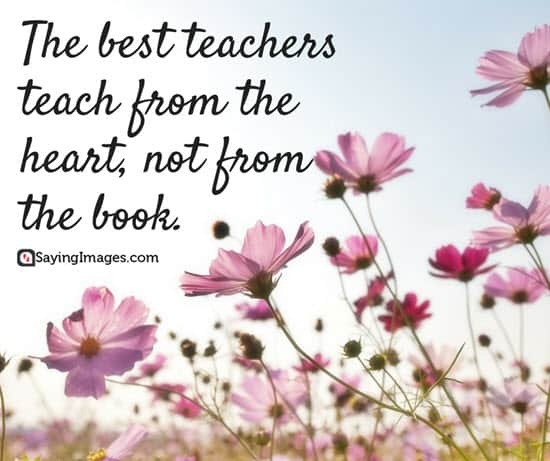 Looking for Happy Teacher’s Day Quotes? Teachers are some of the most special people in our lives. During our young impressionable years, that one special teacher becomes our inspiration and role model. That unique and warm person beomes our parent outside of the home, our confidant, our friend, and our cheerleader. Find the best Happy Teacher’s Day quotes from our very special collection. Leading a child to learning’s treasures, gives a teacher untold pleasures. The best teachers in world is someone who teach from the heart, not from the book… Happy Teachers Day! I was lucky to have a teacher as wonderful as you are. Wishing you a very Happy Teachers Day! Just wanted to let you know how much your time, effort, and hard work is appreciated. Happy Teacher’s Day! Sending my love and warmth to you, You have not only been a wonderful teacher but also friend, philosopher and guide May you have a memorable Teachers Day! The mediocre teacher tells. The good teacher explains. The superior teacher demonstrates. 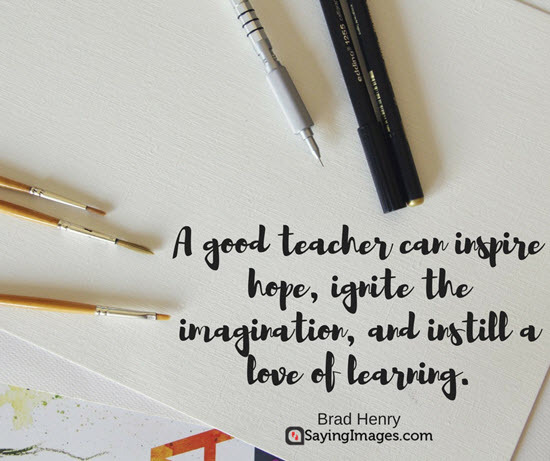 The great teacher inspires. Happy Teachers Day! Have a wonderful Teachers Day! Dear Teacher, Thanks for making us what we are today. Happy Teacher’s Day! Weren’t our picture cards beautiful? Share them today to greet the world a Happy Teacher’s Day to celebrate one of the world’s best and most noble of professions.